This is a beautiful 2 bed, 2.5 bath + Den property in the guard gated Trilogy community. Incredible desert views from a patio facing a lovely, natural wash with giant saguaros a few feet away. 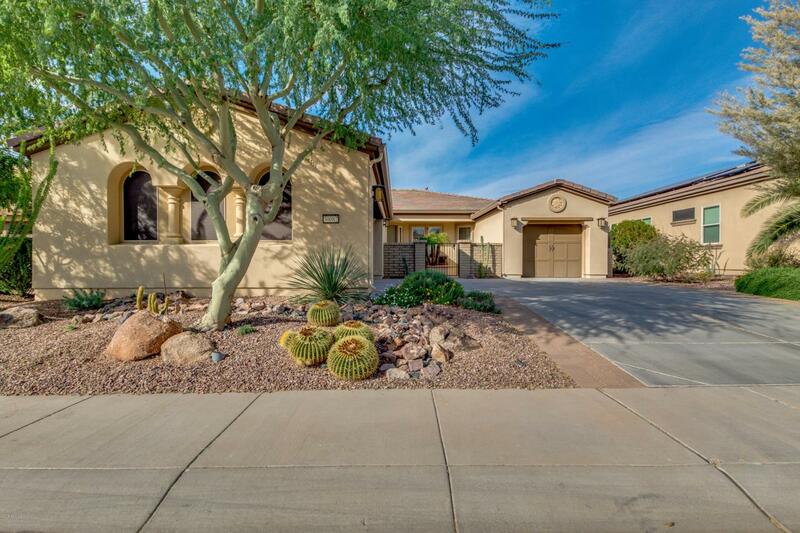 This home features a low maintenance desert front landscaping, 3 car garage, living/dining room, bay windows, a den ideal for an office, and neutral paint throughout the house. Upgraded kitchen offers stainless steel appliances, ample cabinetry with crown molding, granite counter-tops, recessed/pendant lighting, centered island, & a breakfast bar. The master bedroom is large with an exit to the patio. You will absolutely love this home as you enjoy the spectacular sunsets and the pride of ownership that this home has. The solar panels are owned providing very low utility bills. Move in ready!